Every Christmas Eve, Santa makes sure to stop in Zapallar. 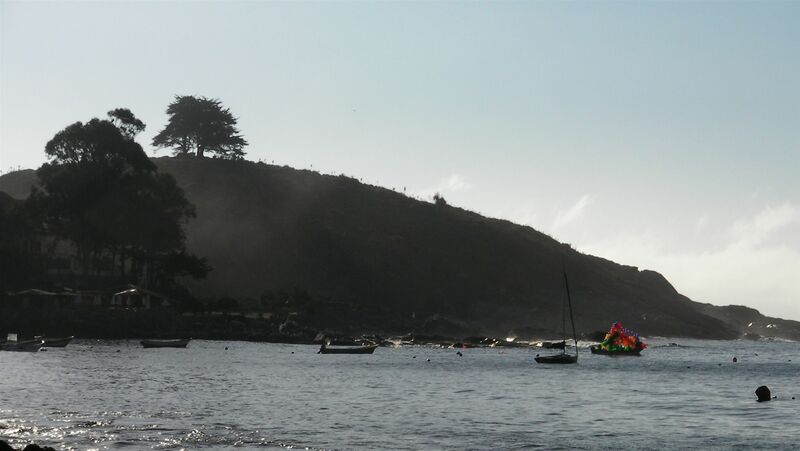 He arrives in Zapallar by boat rather than by sleigh. 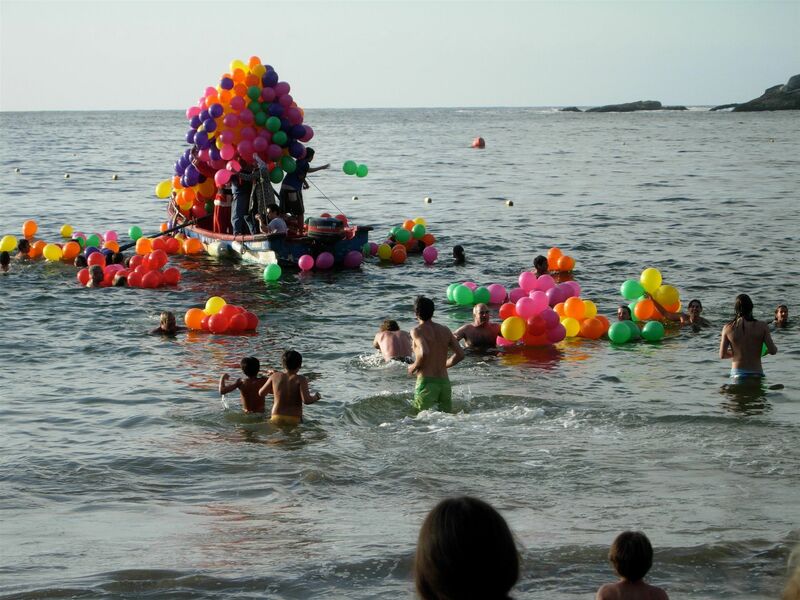 His boat is brightly decorated with multi-colored balloons. 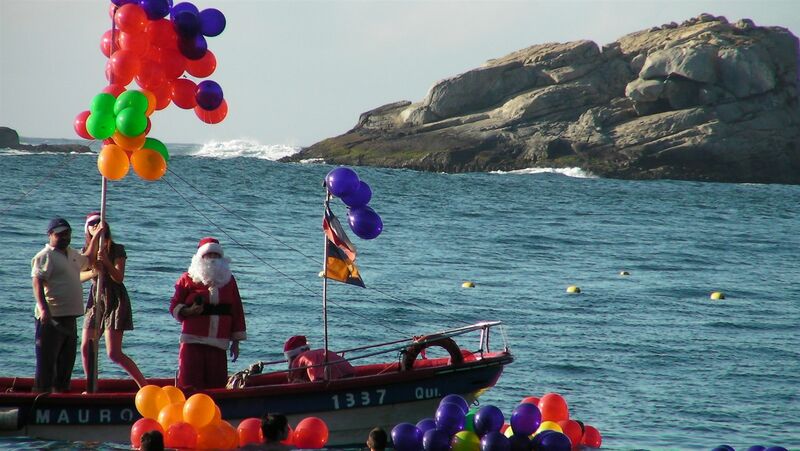 Santa sails in on the horizon and navigates his way around the bay to the beach, settling in just outside the waves. 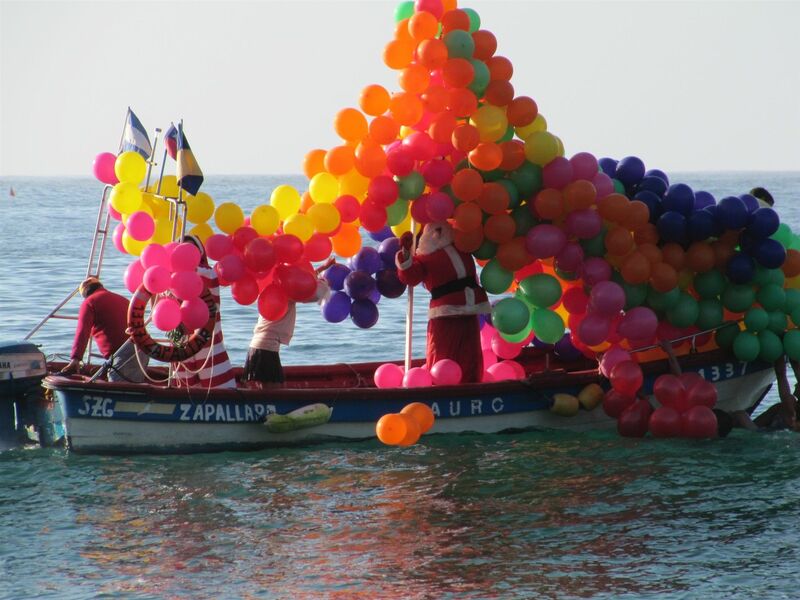 At that point, Santa distributes his gifts, as the balloons are released into the sea. The young ethusiastically swim out to gather their presents. The older brave the cold water to get those treasured prizes for the ones that cannot yet swim. 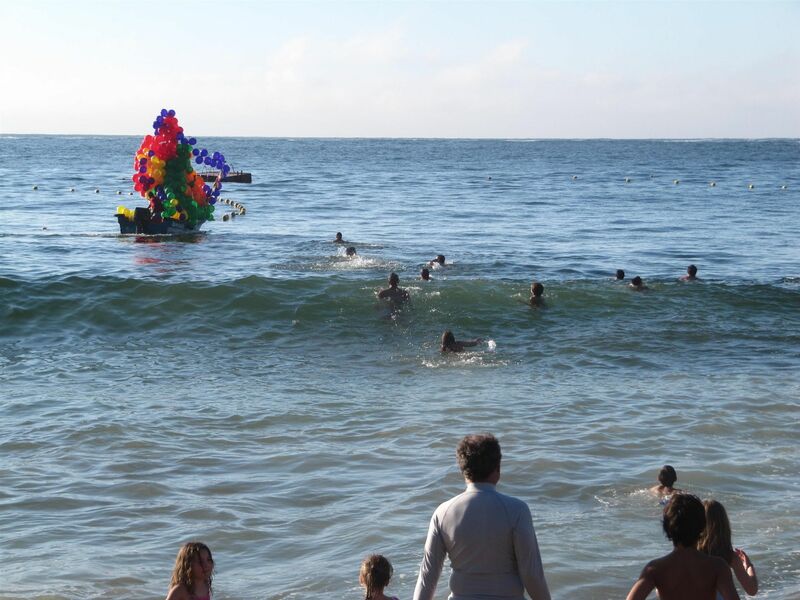 The joy of returning to beach, balloon in hand, is undeniable. All the children savor the moments before returning to their home to see what Santa has left them under the tree. Looks like 7pm, did you get to see Phil? Thank you Forest. My family caught the tail end thanks to you! Feliz Navidad! what time does santa arrive on the boat today?